What is the Boss Babes Brunch Tour? Hi! My name is Jessica C. Alexander and I am the creator and organizer of the Boss Babes Brunch Tour. Our mission is to provide an afternoon of Motivation, Mingling, and Mimosas to Boss Babes across the globe! After a successful 2018 tour, we are preparing to hit the road again starting February 2019! But, we were not always a tour. 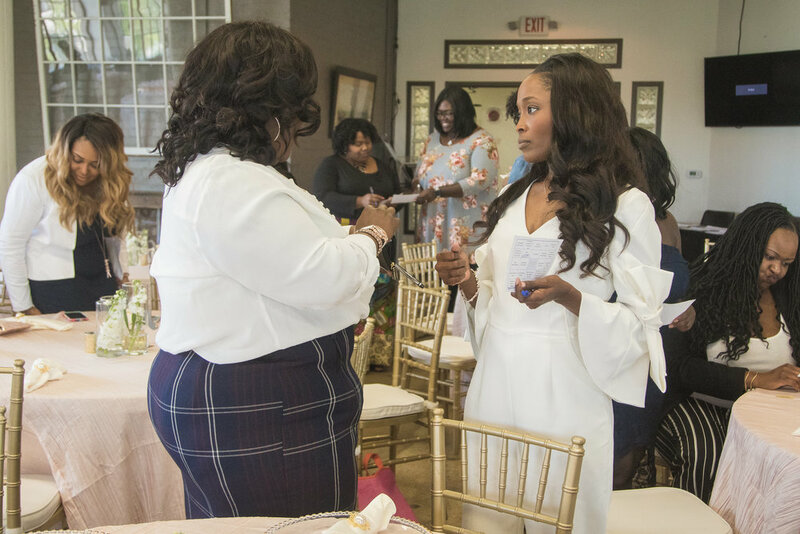 In fact, I hosted the very first Boss Babes Brunch on August 27, 2016 in Montgomery, Alabama out of desire to provide a positive atmosphere for women entrepreneurs in the River Region. I wanted to create a platform where women’s value was not being placed on the designer of her handbag or the title on her name tag. After hosting two events in Alabama in 2018, I opened up Google Maps and put together a driving schedule that would be easy on my 2012 Altima. On May 21, 2018, I hopped in my car for the journey of a lifetime. In 24 cities, we provided hundreds of women an afternoon of Motivation, Mingling, and Mimosas. Over 70 small businesses we able to showcase their products and services as vendors. And several small businesses came on board as event sponsors. As we gear up for the 2019 tour, we expect it to be even bigger and better. If you have never attended a Boss Babes Brunch in your city, this is what you can expect for the 2019 tour. The Boss Babes Brunch Tour features a keynote speaker, workshop speakers, and the Boss Babe Panel. These ladies provide practical tools and best practices that will inspire you to take your brand to the next level. In the words of Ashley Jernigan of JDB Hospitality, “Adult friendships are strategic partnerships.” In addition to developing skills for your brand, the Boss Babes Brunch Tour provides opportunities for you to develop relationships with potential partners, clients, and friends during our event! What is brunch without mimosas?! We cannot wait to pour a glass of bubbly and toast to business growth, new relationships, and brands that make a difference!